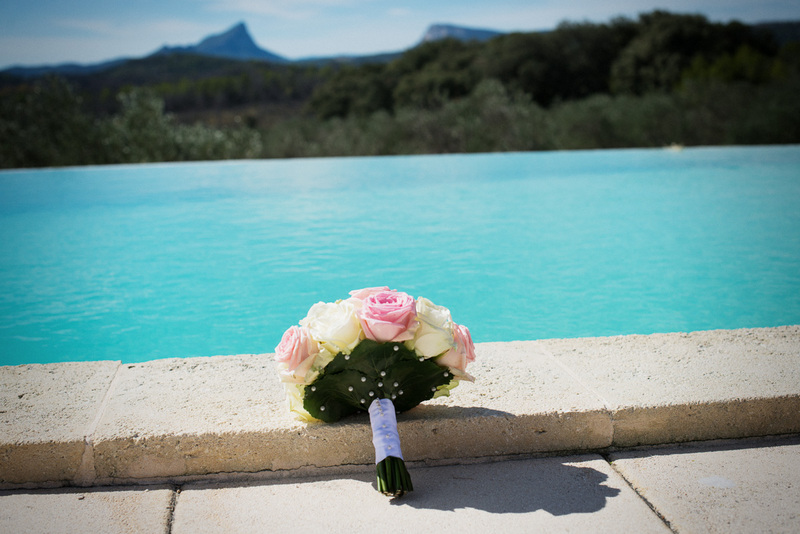 Are you thinking of getting married in the South of France? 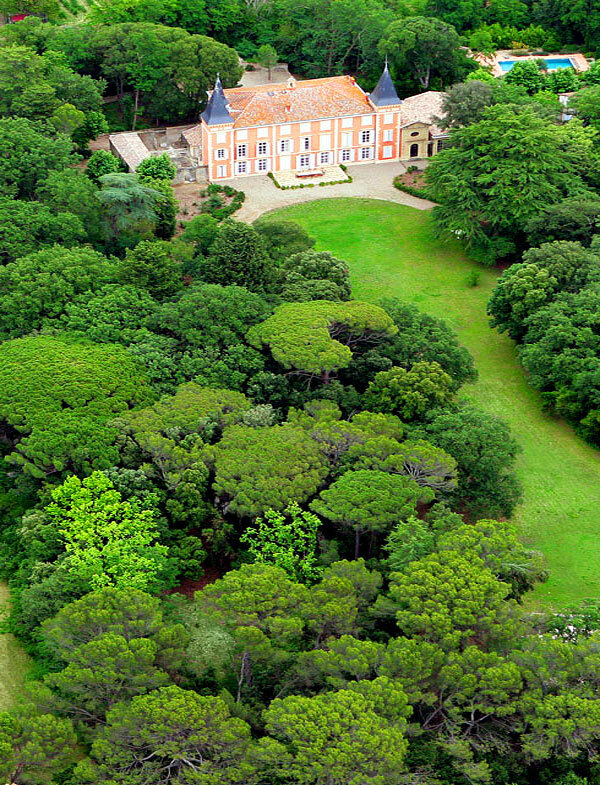 Have you ever dreamed of getting married in a 17th Century Chateau with enough bedrooms for all of your guests? Or in a typical Provencal Mas surrounded by lavender scented countryside? Or perhaps the thought of a Wedding Ceremony in a Contemporary Villa overlooking the Mediterranean Sea catches your imagination? After all, Hollywood stars have had their wedding in the South of France – look at Angelina and Brad! 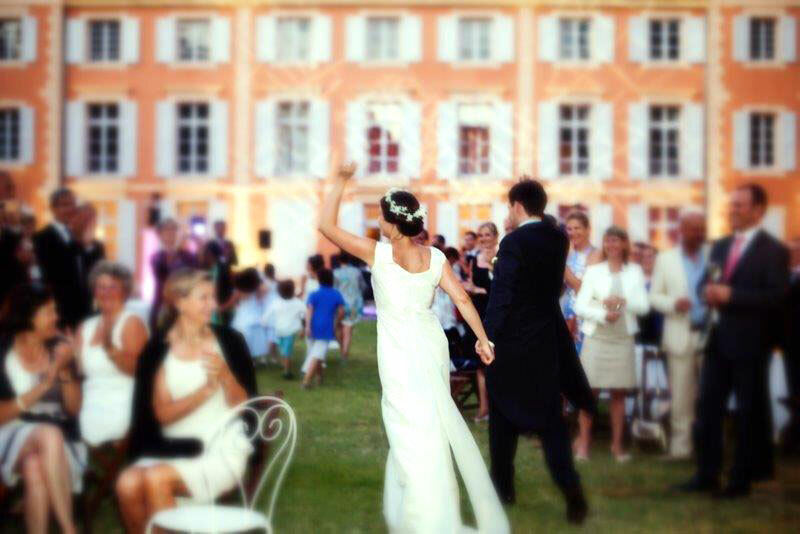 A Wedding in the South of France is not only incredibly romantic, it is also much simpler than it may seem. We have a carefully selected collection of Wedding Venues from a 19thCentury Chateau in the Cote d’Azur, to a large informal beach-front Villa in the Languedoc Roussillon region of the South of France. Do you need someone to help who knows exactly what is what and has immense local knowledge? We will be delighted to help you with your enquiry, we can help with your wedding accommodation along with putting you in touch with a specialist wedding planner. They can guide you through the process and arrange absolutely everything or just as much as you would like including caterers, wine, flowers, music and photographers! The facts: There are various scenarios for a Wedding in France, the Civil Ceremony, the Religious Ceremony, and the Humanist Ceremony. You are not required to have a religious wedding in France, however you cannot get married in a church without firstly having a Civil Wedding. Here is a useful guide to the different types of weddings, and the essential documents that you need to be able to marry in France. They are conducted by the Mayor, or their legally authorised representative in the Mairie (Town Hall). You will need two to four témoins (witnesses) for your civil marriage. They will need to be present at the wedding and sign the official register. The ceremony will be performed in French, however, it can be possible to make arrangements with the Mayor for a translator to be present. A Religious Wedding Ceremony is not legally binding in France. In order to have a religious ceremony, you must first have a civil ceremony, and your religious official will need to see your marriage certificate. It is a popular idea in France to have the civil ceremony the day before the religious ceremony, or have the civil ceremony in your country of residence prior to arriving in France. Due to the residency requirements in France, and to makes things easier many foreigners to marry in their home country and then have a blessing, such as a Humanist Ceremony in France. This opens up the possibilities of dream locations as the ceremony can be conducted almost anywhere. What Documentation is required for a Civil Wedding (Legally binding)? All documents must be an original or official copy and endorsed with an Apostille Stamp/Apostille Certificate. This is obtainable from the Foreign and Commonwealth Office in the UK. Also, any documents which are not in French must be officially translated, (by an agency verified by the French Consulate). Justificatifs de Domicile – Proof of Address. You will need two documents showing proof of residence in the town/village where the ceremony will take place, for example; a gas/electriciy bill and a bank statement. Both parties must be resident in the town or village for at least 30 days prior to the civil ceremony. If you have family are friends in the village they may be able to give you an Attestation d’Hebergement. Certificat de Celibat – This is a certificate which does not exist in the UK. It states that you are not married already. It can be obtained from your Consulate. that your marriage will be recognised in your home country. Certificat de Notaire –If you are planning to have a prenuptial agreement, this must be presented to the Mairie. If you marry in France by way of the official Civil ceremony then you will receive a livret de famille. It is an official document which is used for all events concerning your new life together as a family. It will be a record of all births, deaths, divorce and name changes. You can receive further copies of your marriage certificate by writing to the Mairie in the village where the wedding took place. If you would like any further advice about rules and documentation required for getting married in France, you can contact the Foreign and Commonwealth Office (UK) or the French Consulate for your country. At many of our venues the owners double up as wedding planners as they have made many contacts over the years. If you do not speak French then you may wish to recruit a professional wedding planner in France, they can do as little or as much as you would like. Quite often they can save you money as they may have negotiated discounts with suppliers in particular for wine and flowers. We can help put you in touch with the correct people as South France Villas are rental specialists rather than wedding planners, and it is essential that your day runs smoothly. 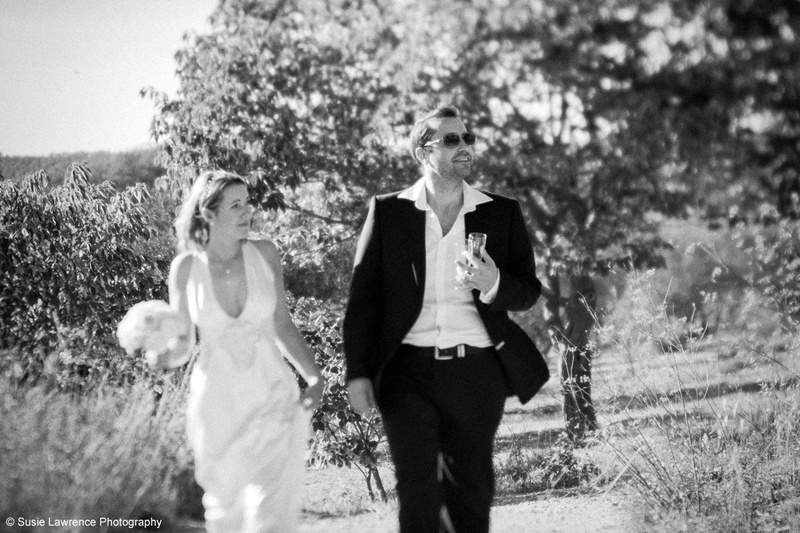 Traditional French Weddings are a little different from British ones, straight after the ceremony and photos, it is the Aperitif or Apero as it is fondly known in the South of France. The Apero is similar to the “evening party” in the UK when all friends and relatives are invited and drinks and nibbles are provided. 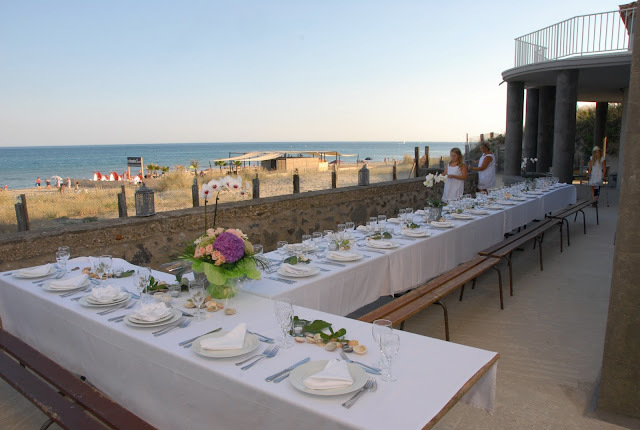 The evening meal and party for a French Wedding is for close friends and family, the meal would normally commence around 9pm and one would be lucky to finish eating by midnight! Live music or a DJ may play on into the early hours. (Certain venues, villages and towns have restrictions in place so do check this out). A free bar is the norm, with a selection of wines and spirits or digestives as they are called in French. The French don’t tend to have a wedding present list, and instead a boite is provided at the venue for guests to give money either by cheque or anonymously with cash. Of course lots of Brides and Grooms to be, want their wedding to be influenced by their home country thereby having the best of both worlds. There are 300 days of Sunshine in the South of France and the summer can be very hot, so do make sure that you have a back-up plan should it be too hot or should there be a drop or two of rain. 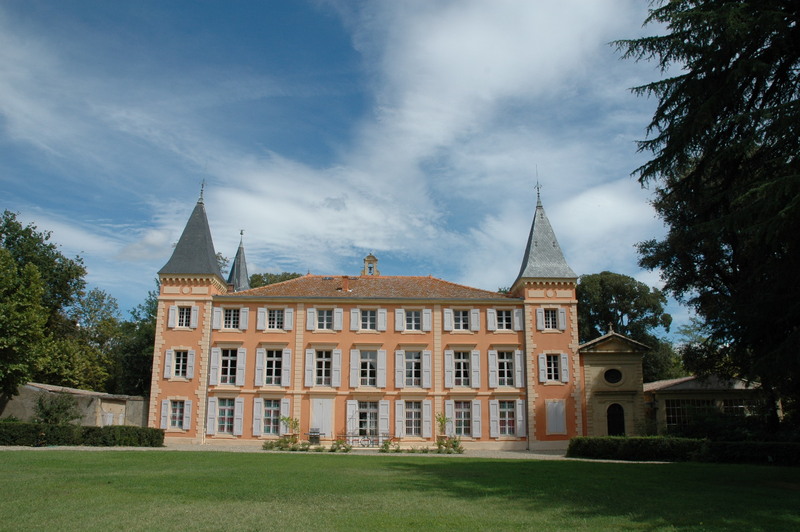 If you are renting one of the larger Châteaux or Villas and guests will be staying with you, do not be afraid to ask your guests to contribute to the accommodation costs. In your contract it will say the maximum number of guests allowed at the property and this must be respected outside of the wedding day (ensure you have agreed with the owner to a larger number on the day). We can help with alternative villa bookings or recommend local hotels and Chambre d’hotes for extra guests. We are wedding celebrants here in the southof France Conducting symbolic ceremonies for coupes from all over the World who want to have a romantic wedding in France. We have already conducted ceremonies in several of the venues featured for clients of South France Villas. We are wedding celebrants in the south of France conducting symbolic ceremonies for clients from all over the World. We have already conducted ceremonies at many of South France Villas properties. They are always beautiful and well managed.